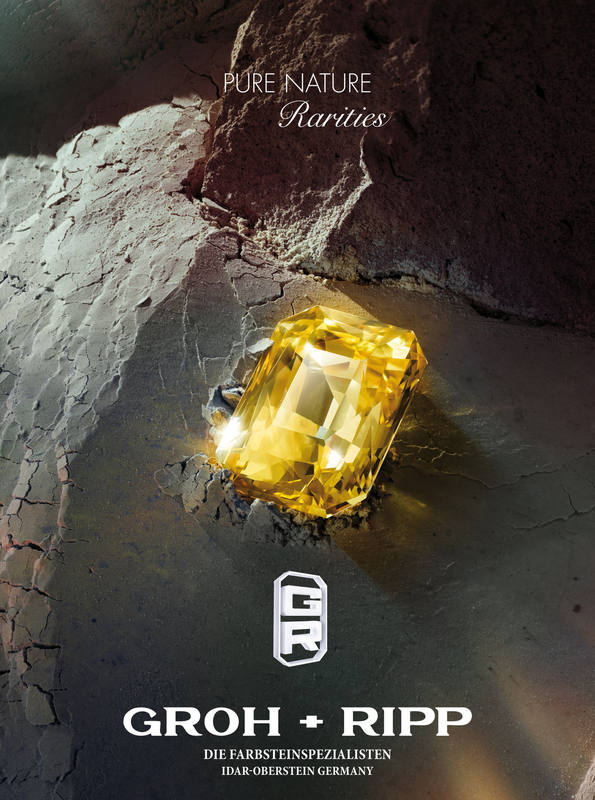 For more than 50 years GROH + RIPP offers fine single gemstones, a first class fabrication and a reliable service. The production includes cutting of fine gemstones as well as large objects. The huge stock of more than 70 different gemstones contains e.g. ruby, sapphire, emerald, alexandrite, red spinel, imperial topaz, tanzanite, aquamarine, morganite, beryl, green tourmaline, Paraiba tourmaline, rubelite, mandarine garnet, tsavorite, peridote, coral, lapis, turquoise, burmese jade.